Welcome to Nirmal International School at Pachora; an initiative of Nirmal Foundation. It was established in June 2011. 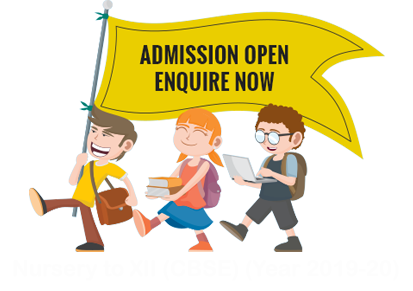 The School is affiliated to Central Board of Secondary Education (CBSE), New Delhi & offers schooling from Nursery to Class XII. In a very short span of time; Nirmal has established itself as one of the best institutions in North Maharashtra. The School is set aesthetically in a splendid 15 acre campus. It is approximately 4 KMs away from Pachora City in natural surroundings to avoid crowd. The school looks to providing an education that promotes excellence in education in every sense of the term, intellectual freedom, teaches children to live in harmony & to appreciate the diversity of our cultures & communities. This education system would develop within the child, the full range of human capacities – intellectual, social, physical and spiritual. It would be an education that would instill a thirst for Knowledge & foster a desire for excellence. In a nutshell, it is NIRMAL’S goal to evolve into a true learning centre; whose students will be enabled to fly ‘on the wings of excellence’. We believe in the Right to Education and hence admissions are given without any discrimination of religion, caste or race, place of birth or any of them. School caters the need of education of Pre-primary, Primary, Secondary & Higher Secondary Classes. The school has adopted CBSE pattern, where flexible ways & means of education are implemented. At Nirmal, the state language – MARATHI is introduced from Primary Classes. Its building has been designed with great care, not only to suit the purpose of all-round education, but also to give the child an ideal atmosphere of comfort zone. Our School has a qualitative educational approach based on modern international norms. With longer ‘School Hours’, the School aims to improve academic results as well as character, through a balanced curriculum and an all-round education.